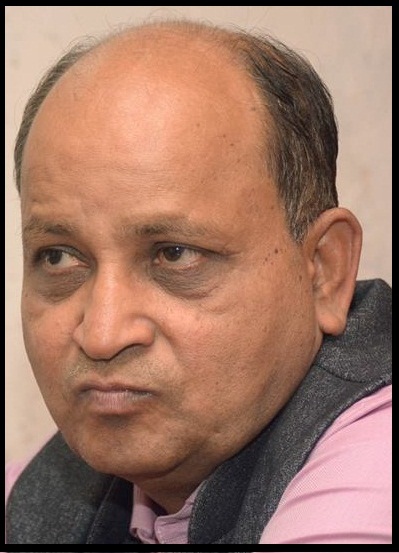 Vidarbha Janandolan Samiti , Activist group who is documenting farmers suicides in Vidarbha region has termed the figures given by Minister of State for Agriculture Mohanbhai Kundaria in a In a written reply to the Rajya Sabha claiming that only 800 farmers have committed suicides this year due to agrarian distress, with maximum 724 suicides cases reported from Maharashtra, Parliament was informed today as too low to underestimate the severity of agrarian crisis in India, Kishor Tiwari informed in press release . ‘When vidarbha region alone has reported administration has reported 1088 farm suicides and worst drought hit Marathwada region official farm suicide figure is more than 600 same is condition of khandesh and north Maharashtra . 3,146 farmers committed suicide in Maharashtra in 2013, the latest data of the National Crime Records Bureau . 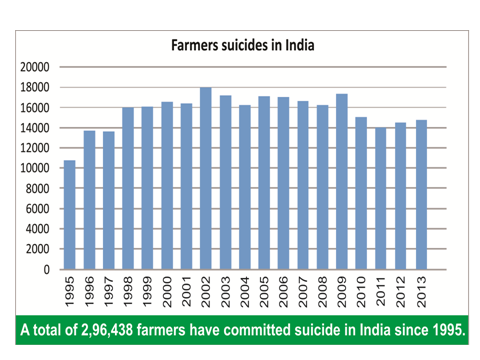 That brings the total number of farmers taking their own lives in the state to 60,750 since 1995. Picture in the Maharashtra state got a lot worse after 2004. on average, 3,685 farmers in the state took their lives every year between 2004 to 2013.this shows very casual approach of NDA Govt. agrarian crisis and complete apathy toward Maharashtra severe drought and ongoing agrarian crisis which is adding fuel to farm suicide spiral’ Tiwari added. VJAS recalled promise of PM Modiji of introducing the renowned farm scientist M S Swaminathan's formula for fixation of MSP which provides for cost plus 50 per cent remuneration to the farmers as the basis of fixation of MSP for agricultural crops should be looked into during the process of finalization of Union Budget for 2014-15 that is only way to make agriculture far more sustainable besides ensuring no farmer was compelled to either leave this occupation or commit suicide. As most of distressed Small and marginal farmers who committing suicide are debt trapped hence complete loan waiver and Fresh interest free short term crop loans whereas other farmers should be given crop loans at 2 per cent, urging for one time debt relief package should be provided for all farmers, Tiwari added.